How can we save America's wilderness areas? 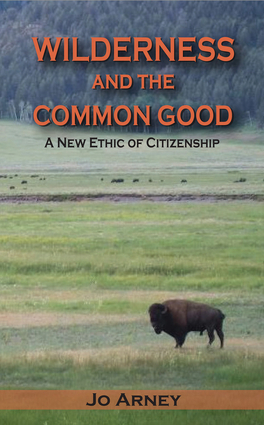 Wilderness and the Common Good argues that the answer to this question lies in the actions of America's citizens. Beginning with The Wilderness Act of 1964, Dr. Jo Arney examines the state of American environmental policies and how they intersect with individual citizen action. Drawing on the work of environmental and political scientists, advocates, and philosophers, Dr. Arney argues that modern civic responsibility entails both an understanding of the importance of wilderness and citizen activism to ensure its existence. True and lasting protection for wilderness will be borne out of a shared understanding of how protected wilderness areas enriches all of our lives. Weaving in her own personal narratives, Dr. Arney shows that wild areas are not only important for the biodiversity that they safeguard but are also essential for the common good of our society.